The UFC has planned its next trip to the Middle East and it will be UFC 128 on March 19 in Abu Dhabi. Multiple sources confirmed the booking to MMAWeekly.com on Wednesday. UFC 128 will mark the promotion’s first return trip to Abu Dhabi since their debut show there on April 10, 2010. The event means the promotion will have back-to-back major events overseas as UFC 127 is currently slated for Australia at the end of February. While no fights have been confirmed for the card, sources indicated to MMAWeekly.com that the fight being considered for the main event is Mauricio “Shogun” Rua defending his light heavyweight title against Rashad Evans. Rua has been sidelined following knee surgery, but his return status was recently rumored for March and UFC 128 date would fit perfectly into those plans. 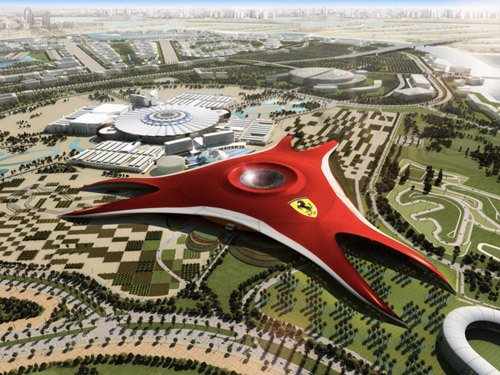 More details about the UFC 128 fight card in Abu Dhabi is sure to come to light in the next few weeks, but as of now the plan is to head back to the Ferrari World Arena where UFC 112 was held in April.